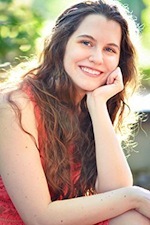 In Depth Interview with Shannon A Thompson! 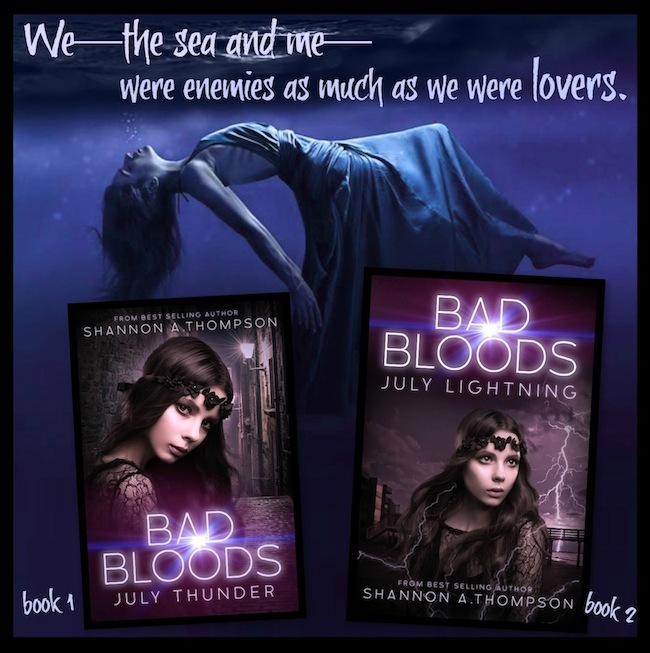 Shannon A Thompson is honoring me with an interview on release day of Bad Bloods: July Thunder! I’m so excited to talk with you and get a peek into this amazing world. Thank you so much for doing this today! July Thunder comes out today. How do you feel it differs from your first duology (November Rain, November Snow)? This duology follows new characters and a different political challenge. While the first duology followed Daniel and Serena during an election, the election is now over, and the people are focused on tearing down the wall between the Highlands and the outskirts. It’s also told from Violet and Caleb’s perspective. Violet is a character from the previous duology, so you get to see old characters (but in a new light), and Caleb is brand-new. He also brings a whole new cast along with him! The main character of July Thunder is fourteen-year-old Violet. Why did you choose to go with a younger protagonist for this duology? Violet demanded to tell the next set. When I originally set out to write the next part, I always thought Daniel and Serena would continue the series, but their story was over. Violet, however, had a lot of identity searching to do, and she was always one of my favorite, sassiest characters in the Northern Flock. I wanted to explore her identity. Her biggest struggle is figuring out who she is as an individual, because—as a shadow—she is used to following other people around. And, due to her powers, she gets lost in time a lot. If she stays in the shadows too long, time passes. She’s technically 64, but she very much thinks and acts like a fourteen-year-old. Between her search for independency and her age/time conundrum, she fit the next political spectrum perfectly. If Violet lived today, what do you think she would be doing ? Painting. Violet is a painter, both because her mother was a painter and also because she fell in love with colors the moment she stepped out of the shadows for the first time. Painting is also how she understands people, so she mainly paints portraits, but never a self-portrait. She would also attend school—and probably study law. What do you think people will love most about the July Thunder/July Lightning ? Each Bad Blood has a tic or skill that helps or hinders them. How did you come up with each character's unique abilities? Were you inspired by anything? Honestly, the powers come along with the character. I never plan their abilities, and I think that’s why their abilities match their personalities. It all arrives at once from some mysterious subconscious part of Vendona. That being said, Violet was deliberate. Because she is related to The Timely Death Trilogy, you can call her a shade. (Another paranormal creature from a different time.) But she doesn’t know she’s a shade. She believes she is a bad blood, and in this world, she is one. My personal favorite out of the new bunch is Skeleton. He was born a normal, healthy baby boy, but slowly, his skin began to disappear, and now he’s part skeleton. He also emits a poisonous gas…and has quite the attitude on him. Bad Bloods deals with a lot of segregation, violence, and political and military upheaval. To what extent do current events affect you writing? Current events definitely affect this series. In this second duology, for instance, a large part of it is based on the historical events of the Berlin Wall. 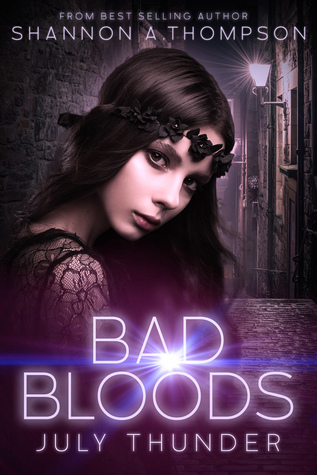 Of course, in the end, it’s nothing like the Berlin Wall, but I wanted to explore how political events can affect those with the least amount of rights, including the young, which is the basis for the Bad Bloods series. How many books total have you written now? Does each experience differ? Or do you feel that you are more in a rhythm now? Oh, geez. Honestly? I can’t be certain, but I believe I just finished writing my fourteenth book about a month ago. Granted, only seven are out in the wild. (There’s a few that I hope are never seen lol.) But each experience is different. It’s definitely gotten easier, but at the same time, exploring new characters in new worlds is never going to be predictable, and I’m always challenging myself. For instance, I just wrote my first pantsing novel ever. I normally plot like crazy. But I think plotting was burying me. In fact, I think the pantsing novel is the best thing I’ve ever written. (And I hope I write something better than that one day.) I’m constantly learning. What do you think has helped you most in your writing career? Reading avidly and across all types of genres. It keeps your mind fresh, while also educating you on what’s been done, what’s needed, and what works/doesn’t work. Never stop reading. My writing habits change a lot. Currently, I would call myself a binge-writer. I spend a few days writing heavily and then take a few days off. (Mainly because I’m burnt out.) Right now, for instance, I’m not really writing. I’m researching a potential idea (and I have a few pieces that I could be writing in), but I’m concentrating on this release right now. Between my two releases and work, outlining and researching feels pretty productive. How often do you mess with social media? I’ve cut back a lot—mainly because I got to a point where I felt like I was spending more time being social online than actually writing or reading. But I try to post every day. I’m mainly a Facebook, Twitter, Instagram sort of gal. And I blog about writing every Monday. Write! There’s only so much you’ll learn by studying writing. And never stop reading. So many people let writing ruin reading or reading ruin writing, and that’s a dangerous, slippery slope. I went through it once upon a time, so it does happen, but you will get through that phase. Keep writing, keep reading, and keep your chin up. Last question, If you were a Bad Blood what would you want your ability to be? ​Bad Bloods book is below!